Chicago Bears linebacker Danny Trevathan discusses his preparations for the 2017 season after his 2016 campaign was cut short by injury. 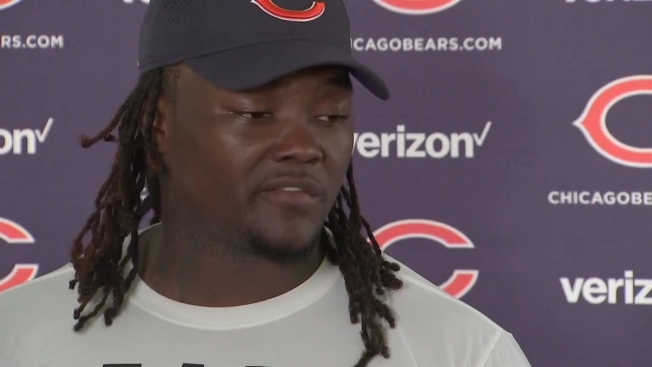 After suffering a ruptured patellar tendon in his knee last season, Chicago Bears linebacker Danny Trevathan was very candid about how a change in his offseason work habits hurt him in his debut campaign with the team. Trevathan, who signed a four-year deal with $12 million in guaranteed money following a Super Bowl win with the Denver Broncos, admitted that he spent too much time celebrating the title instead of preparing for the coming season like he usually would. Trevathan was on the field, albeit in a limited, fashion as the Bears got training camp underway on Thursday in Bourbonnais. The linebacker managed to avoid being put on the PUP list to start camp, and he’s eager to prove that his struggles in his first season in Chicago are behind him. Trevathan was more fortunate than linebacker Pernell McPhee, who was placed on the PUP list with a knee issue. The Bears’ coaching staff says that the injury isn’t related to his knee injuries from a season ago, but Trevathan is confident that his teammate will come back strong.